Research has shown that the best results are achieved when using sterile saline solution (Sodium Chloride Injection BP 0.9%) to mix TB-500 (thymosin beta4). Only prepare the vials that will be used immediately. If using doses that are lower than the recommended dose, prepared vials must be stored in the fridge and be used within 8 days. Remove the plastic protective cap of the sealed vial containing the powder of peptides. Insert the filled syringe of 2ml of sodium chloride solution into the rubber top of the vial and release the 2ml of sodium chloride into the vial. Remove the syringe and gently rotate the vial until the powder is completely dissolved. Ensure that the solution is well mixed with all powder thoroughly dissolved for maximum safety and effectiveness. Research studies have further shown that one (2ml. vial) Sub-Q Inj. each week for six consecutive weeks provides the best results. There after, use only one (2ml. vial) per month. It’s best to give the Sub-Q Inj. 6 days before intense work outs. Therefore for best results, one vial per Sub-Q injection per week for 6 consecutive weeks, then 1 vial per month (the glass vial is 2ml, with 10mg TB-500 per vial), so it is 10mg/2ml). No known contraindication with tb4 peptide products, however tb500 has not been thoroughly tested to know its full effects. The product should not be used if the subject is pregnant or breast feeding. Store the product at room temperature in a non humid environment. An opened vile can be kept for up to 8 days in refrigerated storage. One of TB500 key mechanisms of action is its ability to regulate the cell-building protein, Actin, a vital component of cell structure and movement. Of the thousands of proteins present in cells, actin represents up to 10% of the total proteins which therefore plays a major role in the genetic makeup of the cell. This potent peptide is a member of a ubiquitous family of 16 related molecules with a high conservation of sequence and localization in most tissues and circulating cells in the body. Thymosin beta-4 not only binds to actin, but also blocks actin polymerization and is the actin-sequestering molecule. Tß4 was identified as a gene that was up-regulated four-to-six fold during early blood vessel formation and found to promote the growth of new blood cells from the existing vessels. This peptide is present in wound fluid and when administered subcutaneously, it promotes wound healing, muscle building and speeds up recovery time of muscles fibres and their cells. An additional key factor of TB500 is that it promotes cell migration through a specific interaction with actin in the cell cytoskeleton. It has been demonstrated that a central small amino acid long-actin binding domain has both blood cell reproduction and wound healing characteristics. These characteristics are uncovered by accelerating the migration of endothelial cells and keratinocytes. It also increases the production of extracellular matrix-degrading enzymes. Research confirms that TB500 is a potent, naturally occurring wound repair factor with anti-inflammatory properties. TB-500 is different from other repair factors, such as growth factors, in that it promotes endothelial and keratinocyte migration. It also does not bind to the extracellular matrix and has a very low molecular weight meaning it can travel relatively long distances through tissues. Growth Hormone Releasing Peptide (GHRP-6) is a peptide in the growth factor family. It has strong effect on the release of Human Growth Hormone (HGH) in a specific and dose-related manner. GHRP can be effectively used in the treatment of growth hormone (GH) deficiency. Growth hormone releasing hexapeptide works by signaling the pituitary gland to begin growth hormone secretion. 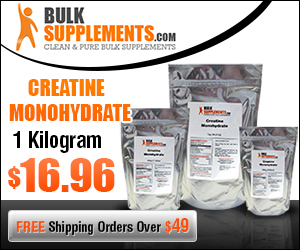 Increased GH and IGF-1 levels are desirable for those looking to improve physique. Human growth hormone has been known to enhance immune response and stimulate the immune system, particularly older subjects. Dosed at night for anti-aging purposes and multiple times throughout the day for anabolism. GHRP is often used in conjunction with GHRH CJC-1295 (mod GRF 1-29) to amplify growth hormone pulse. Avoid fats and carbohydrate a half hour on each side of dosing GHRP-6. 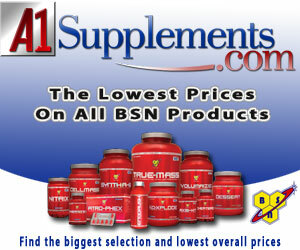 Bodybuilders and athletes dose GHRP in an effort to build more muscle and burn fat. Some GHRP-6 users include it in their post cycle therapy (PCT). Cycling GHRP-6 in the off weeks from IGF/GH cycles is also becoming prevalent. Researchers wish to kick-start their body into producing their own natural GH & IGF, while gaining as if they remained on the GH/IGF peptides. GHRP-6′s main use is to promote food intake by stimulating hunger and aid in energy metabolism. The major side effect being a significant increase in appetite due to a stimulating the release of Ghrelin (about 20 minutes post injection), a hormone released naturally in the lining of the stomach and increases hunger and gastric emptying. This is why GHRP-6 can be used in the treatment of cachexia (wasting), eating disorders and obesity. Benefits of increased HGH levels through GHRP-6 stimulation include: an increase in strength, muscle mass and body fat loss, rejuvenation and strengthening of joints, connective tissue and bone mass. Enhanced HGH secretion also leads to the liver secreting more IGF-1, which is thought to be the primary anabolic mechanism of action for Growth Hormone. 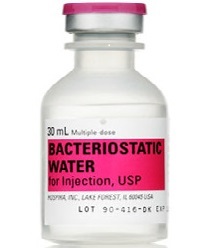 Example- 2.5ml(cc) bacteriostatic water per 5mg GHRP vial equates to a 100mcg dose approximately each 2-3 marks on a U100 insulin syringe. Example- 5ml(cc) bacteriostatic water per 5mg GHRP vial equates to a 100mcg dose approximately every 5 marks on a U100 insulin syringe.